Testosterone BoostersNutrex Anabol-5 - 120 kaps. D-aspartic acid is a natural endogenous testosterone synthesis modulator, comprising a pharmaceutical grade D-aspartic acid. It performs important functions in the nervous system and endocrine. Nutrex Anabol-5 - 120 kaps. The strongest currently legally available anabolic agent. You break the stagnation and go to a higher level! Such quick results will not find using a different supplement! Recommended! 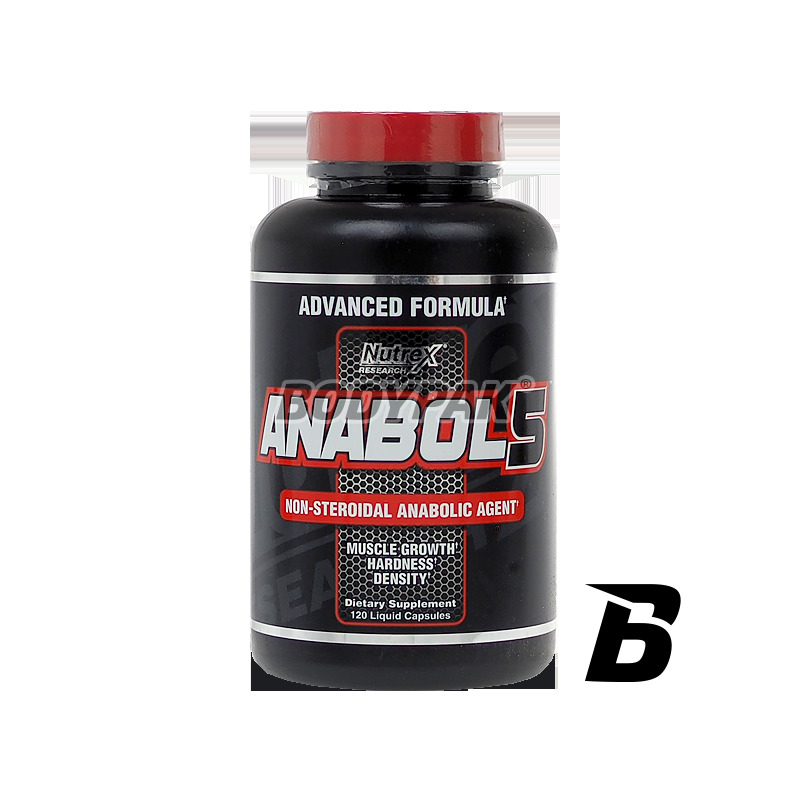 Nutrex Anabol-5 is the strongest now legally available anabolic agent. Its operation is based on the creation of the body receiving his person highly anabolic environment for the growth and regeneration of muscle cells destroyed during intense training. Maximum increases the level of protein synthesis, allowing fuller use of protein sources supplied with food. - Phase 1 uses the technology of liquid transport system, which means that the active ingredients enter the bloodstream as early as five minutes after the administration of the center. - Phase 2 gradually releases the active ingredients significantly raising the plasma level. The unique chemical structure of the movements of anabolic substances used in Nutrex Anabol-5 stimulates the body to greater than ever testosterone production - a significant interest is also a simultaneous reduction in estrogen levels in the body, thus obtained during the cycle muscles are harder and more cut than ever, even with a normal intake carbohydrates. 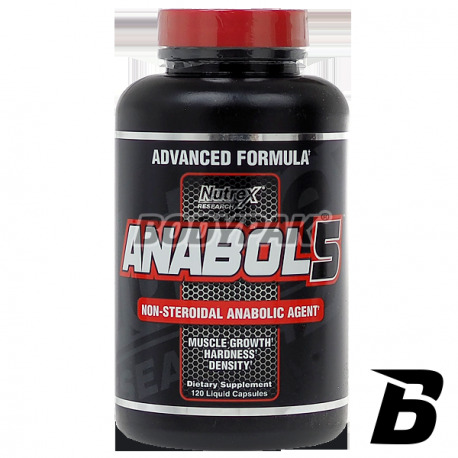 NUTREX Anabol-5 TO STRONGEST PRODUCT THAT PROVIDE YOU unprecedented growth of muscular weight! One serving (2 capsules) should be taken twice a day. Inne składniki: gliceryma roślinna celuloza, miks tokoferoli, dwutlenek tytanu, FD&C Yellow #5, FD&C Yellow #6. Highly-concentrated extract with a high content of natural saponins, primarily protodioscin that affect the optimum levels of testosterone in men. Raise your level of testosterone to the maximum level and enjoy fast effects workouts!